The LS+ Concept features an automated mode called Highway Teammate that will be deployed in 2020. 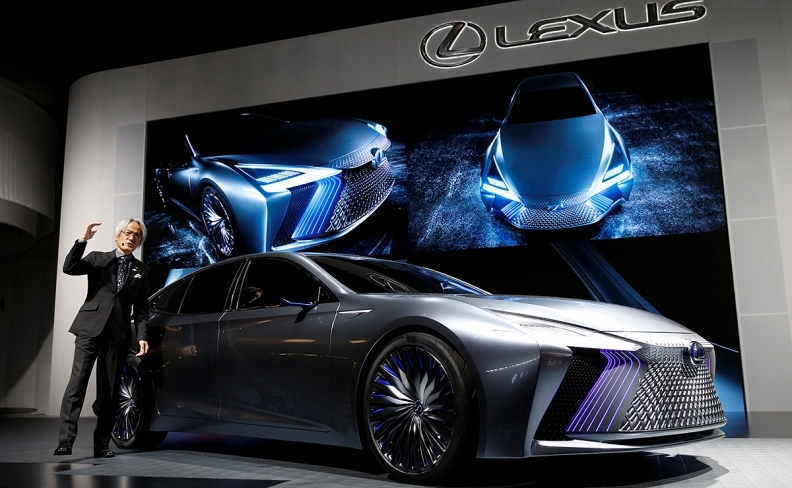 TOKYO -- Lexus' newest concept car, based on the re-engineered LS sedan, will be used to showcase self-driving technologies and design direction. The LS+ Concept draws heavily from the current flagship that will go on sale in the U.S. early next year, but with a new iteration of its front grille and the use of laser effects on the front headlamps. The concept car, which debuted Wednesday at the Tokyo auto show, features an automated mode called Highway Teammate that will be deployed in 2020. On motor-vehicle-only roadways, the car will be able to keep itself in its lane, make lane changes and maintain a safe distance from other vehicles, Lexus said in a statement. Yoshihiro Sawa: "These updates make it possible to introduce new functionalities or improve existing ones, enabling the gradual expansion for an ever better service." In a video simulation, an LS using the system asked its driver whether it should pass a slower-moving vehicle and did so once a voice command was given. 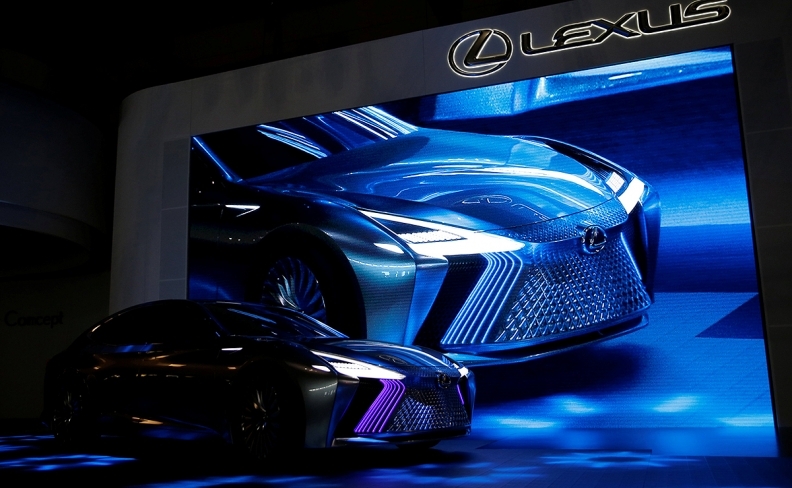 Yoshihiro Sawa, president of Lexus International, said cars using the automated system would be able to update software using an over-the-air connection. "These updates make it possible to introduce new functionalities or improve existing ones, enabling the gradual expansion for an ever better service," he said during the unveiling. "Moreover, we will also employ artificial intelligence that learns from the big data related to roads and surroundings to dramatically improve the car's perceptive and decision-making capabilities." In the first half of the next decade, the automaker plans to add Urban Teammate for the more complicated task of automated driving on city streets. "We will aim for an automated driving level of 4 or above to achieve a mobility society where everyone can move safely, smoothly and freely," Sawa said. Level 4 refers to an automated driving scale, with 5 at the top. 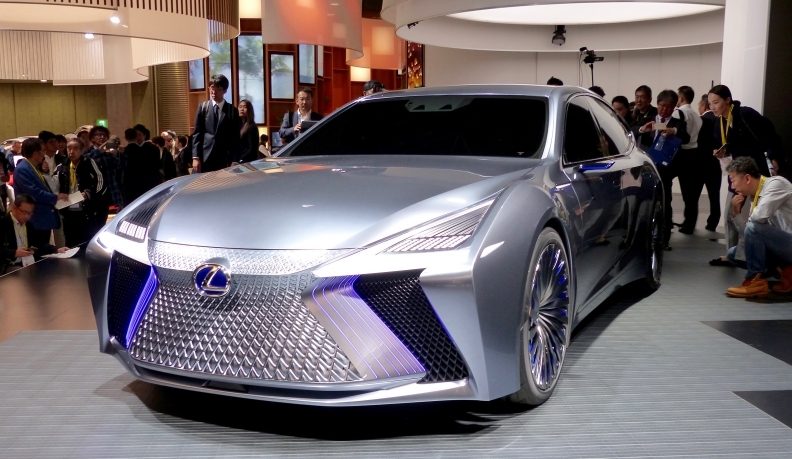 The concept car also will serve as a way for Lexus to explore the next generation of its L-finesse design philosophy. Sawa said the concept uses a new design language for the front and rear of the sedan, particularly in the headlamps, taillamps and aerodynamic elements. It also tweaks the brand's signature -- and polarizing -- spindle grille by incorporating a large grille shutter to improve air flow.